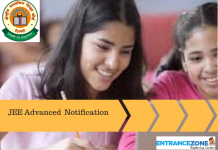 GITAM University will release the GITAM GAT 2019 answer key after the examination is over. The candidates can estimate their marks with the help of the answer key. The answer key contains answers to all the questions asked in the entrance examination. 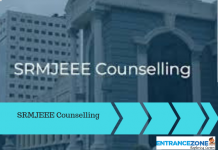 The exam will be held from 10 – 22 April 2019. After the exam, many coaching institutes will also release the answer key for the candidates. However, the copy of answer key by the University will be the official one. In this article, we provide details of GITAM GAT Answer key download, score calculation etc. First of all, Visit the official website of GITAM University. Now, Click on the link with GITAM GAT 2019 answer key mentioned on it. And, the candidate should find the set of their question paper and view the answer key for it. Further, A PDF of the answer key will open up. Students must download the answer key and save it. Also, Take a printout of the answer key for future reference. Finally, Estimate the scores in the examination. There are 100 questions in total in the examination. And, Each question will carry 4 marks. The candidates need to mark the correct answer properly. The examination will be a total of 400 marks. Further, 1 mark will be deducted for every incorrect answer. The candidates can check answers from the answer key. Finally, candidates can calculate the total marks out of 400. The answer key of GITAM GAT will be released by the concerned exam authority. And, the answer key published by the University will be official and final. However, many coaching institutes will also release the expected unofficial answer key after completion of the test. Further, candidates should only refer to the official answer key to avoid any confusion. Finally, the applicants can also challenge the official answer key of GITAM GAT 2019. Candidates can use the unofficial answer keys to predict their marks. Even though it is not a perfect answer key and can contain some mistakes, candidates can use it to check their average score. They can even use the rank predictors which are available online to predict their ranks at the start itself. The total time allotted to the examination will be 3 hours (180 minutes). The paper will consist of three sections: Physics, Chemistry, and Mathematics. The question paper will consist of total 100 questions. There will be 30 questions each in Physics and Chemistry section. But the Mathematics section will consist of 40 questions. Each correct answer to the question will award +4 marks to the candidate. But, each incorrect answer will result in -1 mark of the candidate. The maximum marks in the question paper will be 400 marks. After the candidate submits the test, the system will display the number of correct and incorrect attempts made by the candidate and also the net score of the candidate. 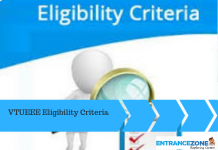 gitam university entrance exam 2019, gitam entrance exam 2019.